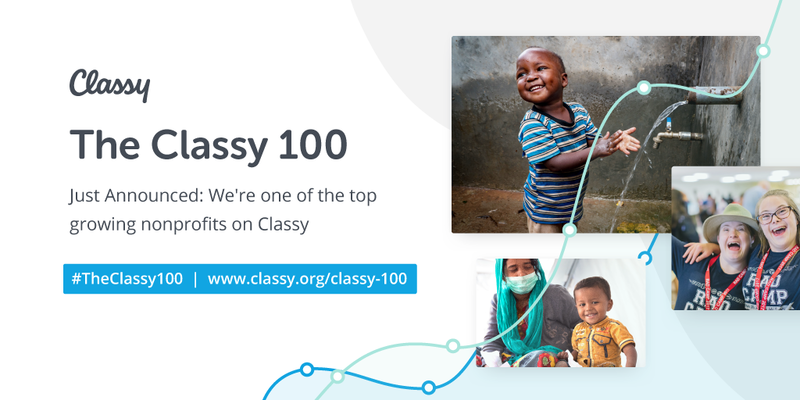 Nuru International has just been recognized on the Classy 100, an annual list of the top 100 growing nonprofits on the Classy platform. The annual list from Classy, creator of world-class online fundraising software, celebrates growth-minded organizations looking to their scale their impact. To recognize these nonprofits, Classy created a unique growth score based on an organization’s year-over-year donation volume. This year’s Classy 100 also identifies four key common contributors—growth trends—that were prevalent across the top 100 organizations’ strategies. These factors include refining existing tactics, trying new campaign types, growing their recurring donor pool, and expanding their geographical donor network. 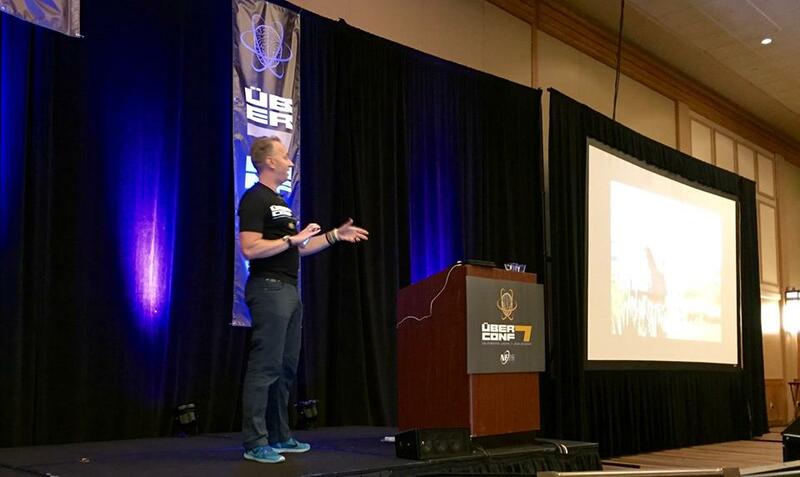 Billy Williams sharing Nuru International at Überconf, a No Fluff Just Stuff software developer conference in Denver, Colorado. Recognized as number 63 out of 100, Nuru leveraged Classy in 2017 to expand its efforts in Kenya, Ethiopia, and Nigeria—through a variety of fundraising efforts and contributions made by donors from all over the world. 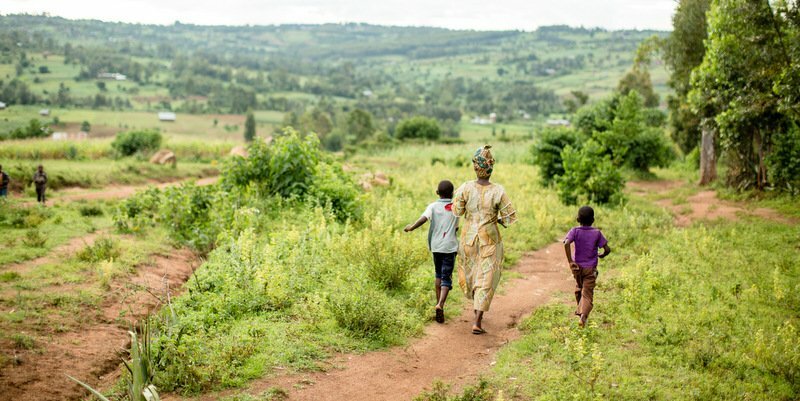 By creating beautiful, brand-forward campaigns, Nuru was able to grow 51% year over year and raise more funds toward their mission of ending extreme poverty in remote, rural areas, and equipping people with tools and knowledge to lead their communities our of extreme poverty for good. It is truly an honor to be named part of the Classy 100, not simply because it means we are raising more funds than last year, but more so because it means we have more resources at our disposal to serve even more families in the year ahead. Because of the generosity of our supporters in 2017, Nuru has not only been able to serve more families in Kenya and Ethiopia, but also it is able to launch a new initiative in northeastern Nigeria to serve even more vulnerable communities. To be included in the Classy 100, organizations needed to have had at least five transactions on Classy before 2016, made at least $40,000 on Classy in 2016, grown in 2017, and be currently active on the Classy platform. The organizations recognized span a large array of causes, sizes, and revenue. To learn more about how Nuru and all of the other Classy 100 recipients grew, visit here. Classy is a social enterprise that creates world-class online fundraising software for nonprofits, modernizing the giving experience to accelerate social impact around the world. Since 2011, fundraising on the Classy platform has doubled each year—resulting in thousands of nonprofits collectively raising over half a billion dollars. Based in San Diego, CA, Classy is trusted by organizations of all sizes, from the fastest-growing nonprofits like Team Rubicon and The Trevor Project, to some of the world’s largest social organizations, such as Acumen, Robin Hood Foundation, and Shriners Hospitals for Children. Classy also hosts the annual Classy Awards to spotlight the innovative work nonprofits are implementing around the globe. Backed by prominent technology investors, including JMI Equity, Mithril, Salesforce Ventures, and Bullpen Capital, Classy has raised $53 million to-date in growth capital. For more information, visit www.classy.org or follow Classy on Twitter @Classy.